Debunking fact from fiction to find out if it’s right for you. A lot of people think Invisalign is just for slight problems, but that’s simply not true. Since Invisalign came into existence in 1997, the technology has come a long, long way. Now, Invisalign trays can fix almost any problem, big or small. The problem I notice in my orthodontic office in Temecula is that there is a lot of misinformation on the Internet about Invisalign. Therefore, I thought it was time to sort the fact from fiction. Invisalign doesn’t just fix minor overbites and underbites, or those few teeth that have crowded together. It can fix more than that. The key is to understand the severity of the problem you want to fix and determine with your orthodontist whether it’s right for you. Most cases can be easily fixed with Invisalign. Only in extreme cases will an orthodontist suggest another approach besides Invisalign. Invisalign is perfect for anyone at almost any age. It’s great for teens because it’s virtually invisible, helping with their self-esteem. Let’s face it, with dating, prom, sports and active social lives, getting metal braces probably isn’t at the top of your teen’s list of things they want to do. It’s great for adults because it’s discrete and allows them to smile confidently, without feeling awkward. Plus, it’s great for older people who want to get their smile back to where it was 20 years ago. After all, our teeth will shift throughout our lives, and we can only keep them in the right position through treatment and retention. 3) Remembering to wear the trays is going to be hard. FALSE. For Invisalign to work its magic, you need to wear them for 22 hours a day. That’s 2 hours to eat, drink, floss and brush. A lot of people worry that they won’t have what it takes to wear their aligner trays for 22 hours every day, but we know you can do it. Truly, you’ll hardly notice them after the first hour. Think of them like contacts. Once they’re in place, you don’t even notice them. So yes, wearing your aligners is a commitment but not as big of a commitment as getting a dog, a cat or moving in with a significant other. You got this! It’s normal to have a lisp for the first few days of wearing your Invisalign trays. However, you should remember that the human body and the mouth in particular have amazing adapting abilities. Learning to talk with Invisalign is very quick and easy. You’ll be talking normally in no time! This one is completely false. With Invisalign, you can eat and drink anything you want. The key is to just take out your aligners first and make sure you brush, floss, and rinse your teeth before you put them back in. So, who’s ready for some corn on the cob or soda? With Invisalign, you can eat it, drink it and have seconds. Just remember to put your aligners back in the right away! Weddings. Prom. Homecoming. Board meetings. Interviews. Whatever the reason or occasion, the beauty of Invisalign is that you can remove your aligners anytime you want. If you have a big event coming up that you don’t want to wear your aligners for, then don’t. You’re free to take them out and put them back in after. It’s literally that simple. With regular braces, that’s not the case. You need to wear them until your treatment is finished. You may be surprised to hear that in most cases, Invisalign costs the same or very close to the cost of braces. 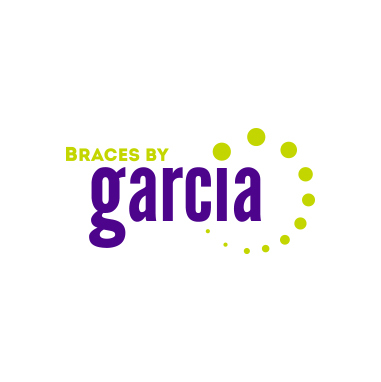 Oftentimes, if you have orthodontic insurance, Invisalign is covered the same as braces! So, stop waiting, and stop by my orthodontic office in Temecula, CA and let’s talk Invisalign. Who knows, you could have a completely different smile in 6 months to a year if you do.